Facebook has launched Lasso, a new app that follows the mobile lipsyncing trends that have gained huge momentum among young users around the world. It is largely similar to the Chinese short-form video sensation TikTok. Lasso lets you create short videos (up to 15 seconds), add filters and effects and overlay popular songs. Unfortunately, you can’t upload existing videos and the app is built around a feed of recommended videos, which lets you discover content through hashtags and thematic collections. At the moment, Lasso is only available in the US for both iOS and Android but if it is successful, we can expect a global rollout. Communities are important to every business. Your employees, partners, customers and prospective candidates are your community, and together, they can help drive your company’s growth through meaningful conversations. LinkedIn Pages have been rebuilt from the ground up to make it easier for brands, institutions and organisations to foster constructive conversations with LinkedIn’s community of more than 590 million members. The new Pages are designed to help organisations authentically connect with members, grow their business and build lasting connections. You can read more about the new updates here. Vine will return. According to co-creator of Vine Dom Hofmann, their upcoming looping video app Byte will be coming in spring 2019. While there is not much detail on the app itself, it will likely operate in the same way as Vine, with short looping videos. Vine was a huge success when it first launched, however, Twitter shut it down in 2016 after acquiring it for a few months, leaving hundreds of creators and fans disappointed. Ever since, there has been talk about Hofmann – a true believer in the idea of looping six-second videos – bringing the app to life. After months of silence, Hofmann announced on Twitter that Byte, set to be the real successor of Vine, will be launched in early 2019. While there isn’t any more information, we can only keep our fingers crossed for the launch of Byte because the world needs 6-seconds looping videos. Seeking to capitalise on the popularity of its Bitmoji characters, Snapchat is launching a Bitmoji merchandise store which you can customise with you and your friend’s Bitmojis. The Bitmoji merchandise store opens Thursday this week on iOS only in the U.S. with $2 stickers, $15 coffee mugs, $16 standard t-shirts and notebooks and more that users can personalise by adding their Bitmojis. 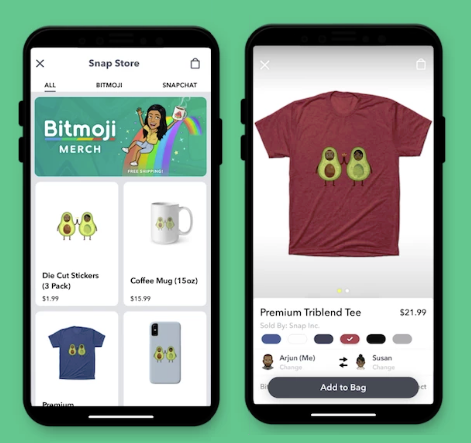 The new merch could help Snap show off its name and brand, reminding people to use the app as they can’t get the true Bitmoji anywhere else. 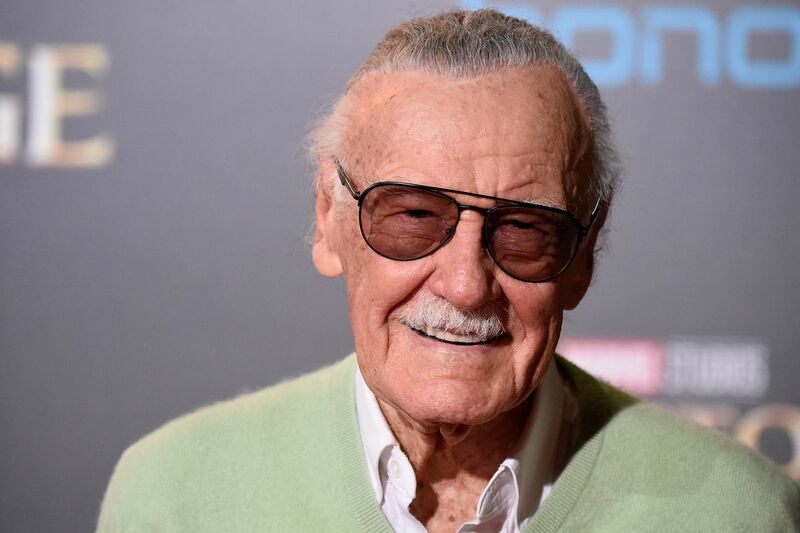 Fans worldwide of Marvel Comics are in grief after Stan Lee, the former editor-in-chief, publisher and chairman, died on Monday at age 95. Lee was best known for co-creating much of Marvel’s pantheon of beloved superheroes: Spider-Man, The X-Men, Iron Man, Daredevil, Thor, Black Panther, and Doctor Strange, among others. On his own and through his work with frequent artist-writer collaborators Jack Kirby, Steve Ditko and others, Lee catapulted Marvel from a tiny venture into the world’s number one publisher of comic books and later, a multimedia giant. The never-bashful Lee also appeared in cameos in the Marvel movies, shown avoiding falling concrete, watering his lawn, delivering the mail, crashing a wedding, playing a security guard and so on. Thank you for being extraordinary, Stan Lee. Excelsior!! This week, Warner Bros released the first trailer for Pokémon: Detective Pikachu, a live-action Pokémon film due for release in May. The trailer has been viewed more than 10 million times on the official YouTube channel alone, and tens of millions more via Facebook and Twitter. Reactions have been mixed and it has been a top trend this week, with hundreds of tweets a minute. Pokémon is a pretty sacred source of childhood nostalgia for most millennials, making this trailer is unsurprisingly controversial for many. Vice declared the trailer “extremely cursed” and people found it strange that Pikachu talks. Not only that, but he also talks in the voice of Ryan Reynolds. Pikachu has only ever said “pika-pika! Chuu!” before and now he shares a voice with Deadpool. Then there’s the fact that the Pokémon themselves are newly realistic, with natural-looking fur and skin, which is honestly creepy. Mr Mime (who already looks creepy in his cartoon form) has an uncanny plasticky face, while Jigglypuff is a fuzzball with a curl of human-looking hair. While people may be weirded out by the trailer, Pokémon fans aren’t disappointed with it – the responses have been extremely positive. The film is out on 11 May and we can expect the cinema to be packed, not with kids, but people in their late 20s and early 30s. Do not pass Go. Do not collect $200. Do not buy a property… ever. Millennials have long been maligned for their inability to “adult” – from avoiding marriage to quitting their jobs to travel. But now an Hasbro has taken the stereotype to the next level – by devising Monopoly for Millennials, a version of the classic game in which players aged 8+ collect experiences instead of money because “adulting is hard”. “Forget real estate. You can’t afford it anyway,” says the cover of the board game. In this version of Monopoly, players don’t win with money to buy homes or railroads, but instead, collect “experience points” by earning rewards such as a three-day music festival or going to a vegan bistro – because memories “last forever”. Player tokens also include a few things millennials simply can’t live without, such as a camera, sunglasses and unsurprisingly, a hashtag. Every weekend, people across Australia can go to their local Bunnings and buy a sausage sizzle for a few dollars, satisfying their bellies and whatever charity or community organisation has held that weekend’s pop-up. Earlier this week, Bunnings made a controversial announcement that has gripped the nation: new safety measures were introduced that would require sausages to be served onion-first, underneath the sausage, for Occupational Health and Safety reasons because onions dropping out could create a “slipping hazard”. As ridiculous as it sounds, one man actually slipped on dropped onion from a Bunnings sausage and suffered serious injuries. Since the news broke, social media has been in a buzz with people offering various takes on the issue. This is so incredibly important that even the Prime Minister of Australia, Scott Morrison, weighed in on the matter and showed his support behind Bunnings, saying that he didn’t mind where the onion was placed.